The ENTIRE source code is attached as a .zip below. Article Disclaimer: This article is somewhat advanced and DOES NOT cover or explain any of the HTML, CSS, PHP functions, and jQuery resources I have used here. 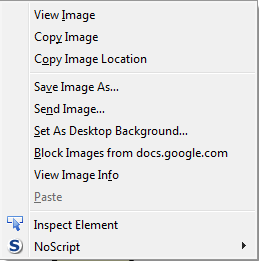 It DOES detail and explain how to get an image for the "src" attribute of an image for your msword docs. If you have questions, please comment here as I'd love to help answer them. Take note that this solution is a hack and relies on Google docs. So if Google docs changes or goes away... so does this solution! Also this solution is fairly complex, so allow about an hour to digest it. All of my source files will be attached down at the bottom. There it is! That's the URL that we need to programatically generate. You might ask how we're going to accomplish this if Google docs randomly generates the docid (we already have the doc's URL, the page number, the width, and whatever the 'a' is - all we need is the docid). The answer lies in web-page scrapping. The rest of this article explains in detail how we're going to programatically obtain this URL for the first pages of our msword documents. For this article's purposes I have multiple msword documents in a directory on my website located at http://www.patsmitty.com/gview/word_documents/. It doesn't matter what you call your documents as we will programatically obtain them via PHP. One more thing before we start, my example contains a js prototype progress bar and a frame for the images so there are "additional" source files and "extraneous" code as well. Create a blank php file and title it "scrapeIt.php". This function will contain 2 lines of code that returns the URL of the image we need. Notice lines 4 and 5... They add "http://docs.google.com/gview" to the beginning and "&a=bi&pagenumber=1&w=" . $width" to the end. So now our URL looks exactly like it does when we click on "view image" or "copy image location" from the context menu when we right-clicked on the image of the first page of our msword document that we viewed in Google docs!!! We're not done though. For some reason, when we loaded the html from the Google docs page the docid was generated but the image was not. Probably because something in Google gview app assumes that the root directory is "docs.google.com" and not another URL like mine: "www.patsmitty.com". So when you try to take that url and view it, error 400 spring up. No problem, the next step will explain how to bypass this. We now have images of our word documents that we can show on our page. Take note that Google Docs supports other formats than just .doc and .docx but .pdfs and spreadsheets as well so these are all feasible with my hack as well. I have only tested .doc, .docx, and .pdf. Also, please look at my source code as it shows how to connect all these functions together as I am not explaining any html, parsing, css, or other php functions consumed here - I'm simply explaining my hack so you too can enhance your web applications. Also remember to change all the references from "www.patsmitty.com/gview/..." to your respected servers. If you have any questions please post here or email me at psmith@patsmitty.com and I'll post them here.